Vincent Lombardi, was born in New York on 11th June 1913. 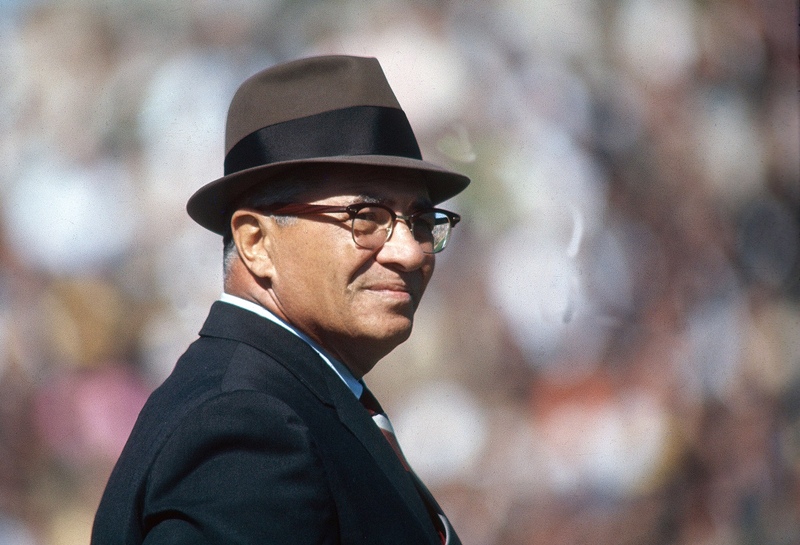 He is arguably the greatest American Football coach of all time. He made his name with the Green Bay Packers who dominated the National Football League in the 1960s. His focus on hard work, simplicity and execution coupled with his ability to teach, motivate and inspire players has made him a legendary figure in the world of sport. It is his name that adorns the Super Bowl trophy awarded to the champion football team each year. This entry was posted in Quotes and tagged Vince Lombardi. Bookmark the permalink. Great quotes, great man, great post. Well done.